Official Twitter page for Stratfor. Stratfor is a subscription-based provider of geopolitical analysis. Follow for independent analysis of world affairs. Concealed Carry, Permit Info, Reciprocity Maps, Firearm Forums, Instructor Lists, Free Giveaways! 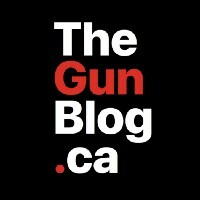 http://Guns.com is a niche news web site that publishes original reporting on the wide range of topics within the gun world. The Canadian Association of Journalists is Canada’s largest national professional organization for journalists from all media, representing over 600 members.